Throughout many lands and kingdoms, it is a time of feasting, family, and giving thanks. Why not include some adventure between trips to the buffet table? 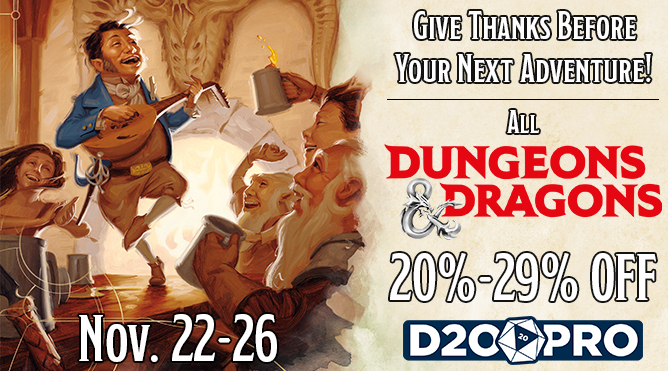 From November 22nd– 26th (Thanksgiving through Cyber Monday), all Dungeons & Dragons D20PRO-ready adventure supplements and core products will be anywhere from 20% – 29% off! Now is the perfect time to stock up so your adventuring group will never run out of challenges.